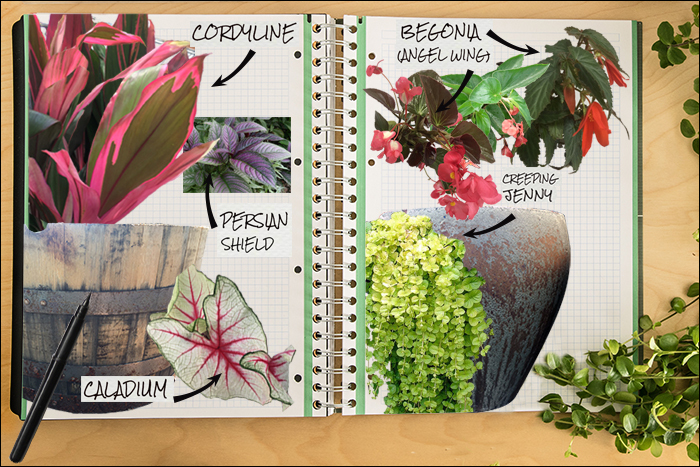 Garden Notebook – A Spectacular Annual Container | Faddegon's Nursery, Inc. These Begonias are in the cane type begonia family and go by quite a few names. Angel wing is the common descriptive name while Dragon Wing® and Bonfire® are branded names. There are differences in leaf color, leaf serration, flower shape and color, and light tolerance but all share a wonderful bushing and cascading habit. Colors range from white to pinks and red shades which really show up in the shade!